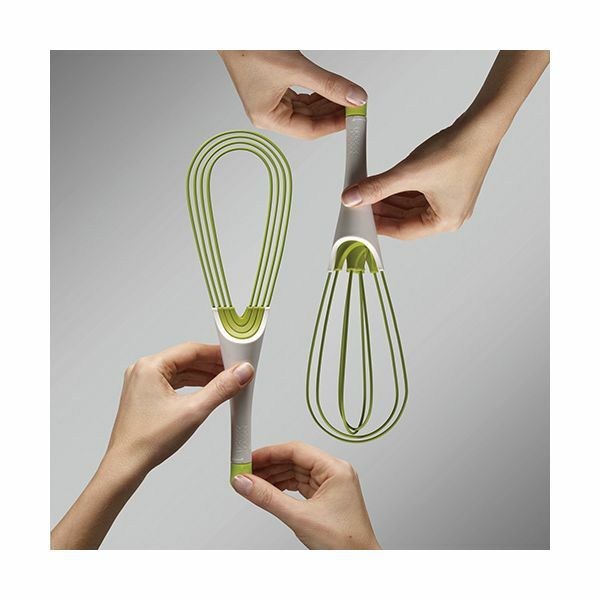 Joseph Joseph Twist 2-in 1 Silicone Whisk - this innovative product incorporates two essential whisks in one stylish design. 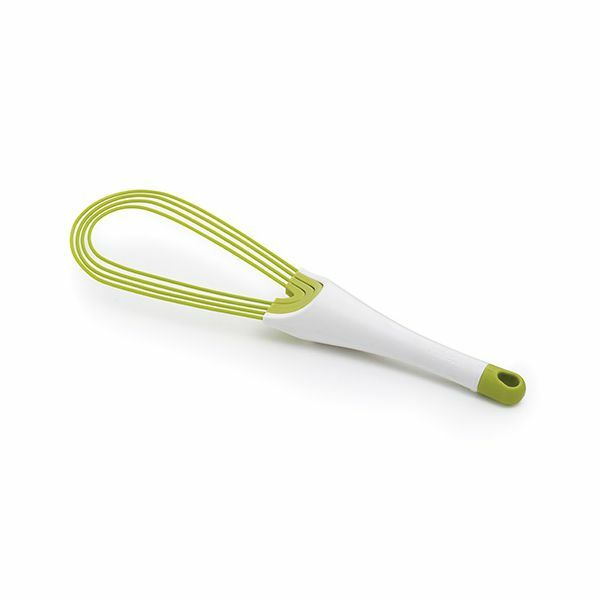 As a flat whisk, Joseph Joseph Twist is ideal for mixing sauces in low pans or for making gravy in roasting trays. Its silicone-coated steel wires are suitable for non-stick cookware and are perfect for scraping and combining ingredients together, preventing them from burning on the bottom of a pan. 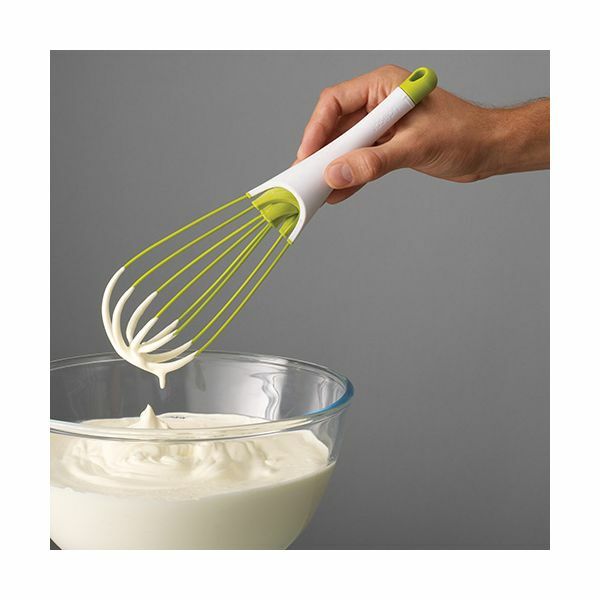 With a simple turn of the handle, Joseph Joseph Twist also becomes a highly effective balloon whisk, allowing egg whites to be whipped into perfect peaks.